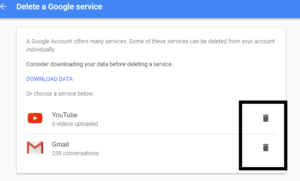 Delete Gmail Account | You can delete gmail account and all the messages in it still you can use your youtube, drive etc. So you have one Gmail account too many? Personally I Have A Huge Amount Of Numbers Of Gmail Accounts. So, you don’t have to tell me any reasons for wanting to quit Gmail. I won’t ask, I’ll just tell you how to do it. 1. 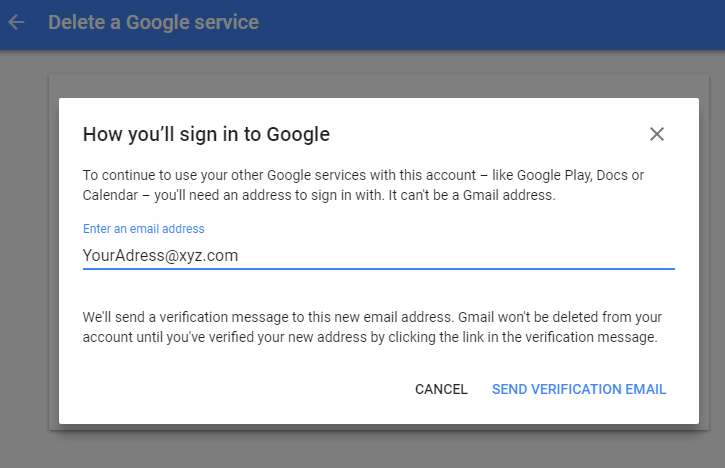 Login your google account. 2. 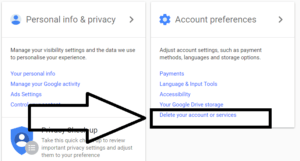 Go to Google account settings. 3. Now select Delete account or services under account preference. 4. Scroll Down And Click on Delete products. 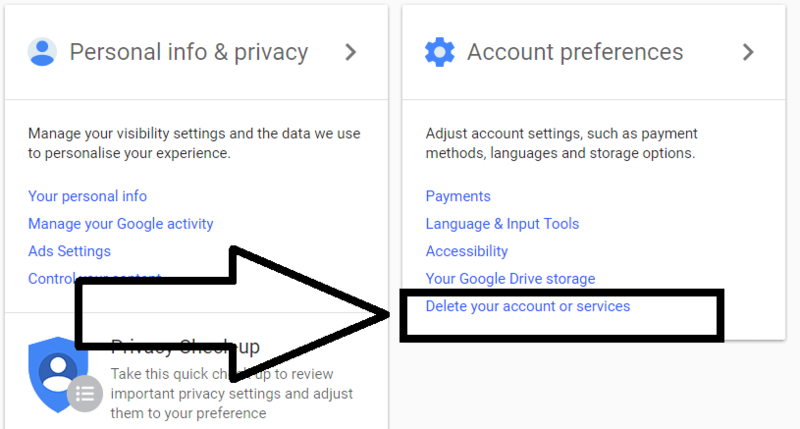 You can choose delete google account and data to remove your entire google account (including your search history, Adsense, Google drive as well as other google services). 5. 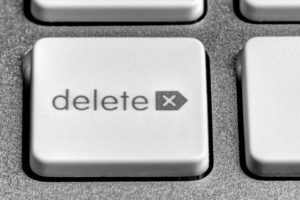 After that select the Gmail account you want to delete. 6. Now type the password of your gmail amount. 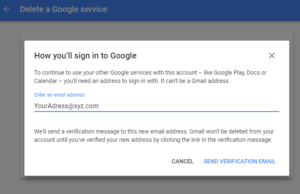 8.Enter an email address different from the address associated with the Gmail account you are closing under Enter an email address in the How you’ll sign in to Google dialog box. 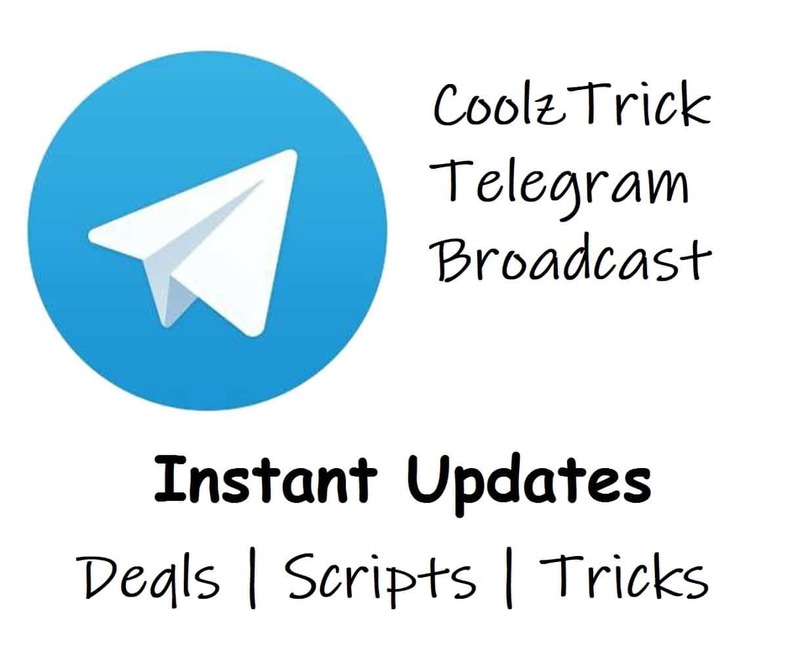 Note:- Make sure you enter an email address to which you have access. 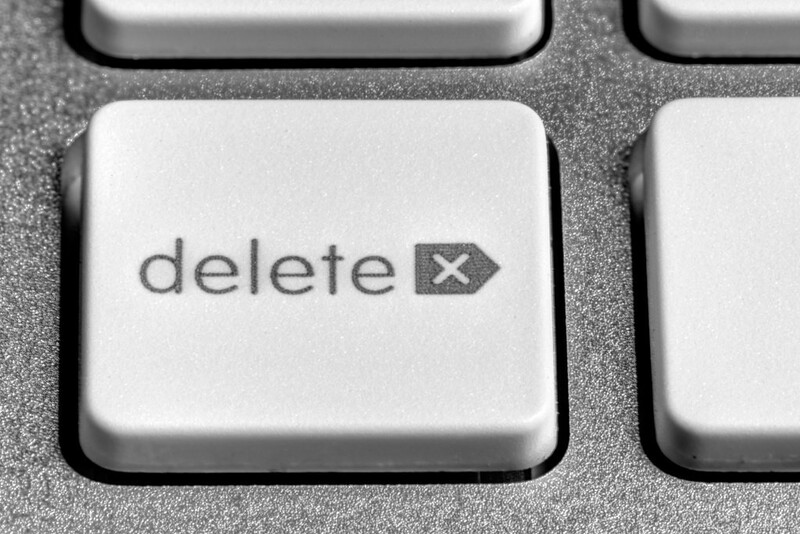 You need the email address to complete deleting your Gmail account. 11.Follow the deletion link in the message. 14.Click Delete Gmail. Important: You cannot undo this step. 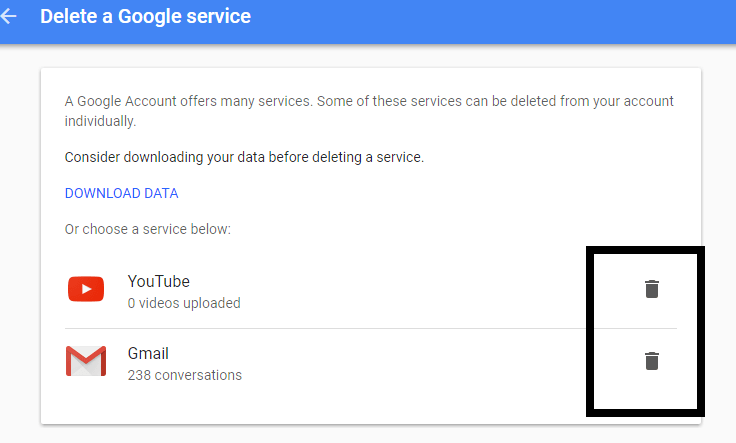 After you click this, your Gmail account and messages are gone. 16. That’s It your Account Is Deleted. People who mail your old Gmail address will receive back a delivery failure message. You might want to announce a new or alternate old address to desired contacts. The messages will be deleted permanently. You can no longer access them in Gmail.